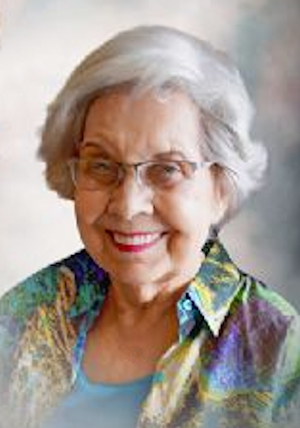 Obituary – Nicewander, Verna “Jeanne” (Samuelson) « Perry High School Alumni Association, Inc.
V. Jeanne Samuelson Nicewander, age 92, of Tulsa, Oklahoma formerly of Perry, Oklahoma passed away on Tuesday, September 12, 2017 at the St. John’s Medical Center in Tulsa, Oklahoma. Graveside Services will be held at 10:00 a.m., Friday, September 15, 2017 at the Grace Hill Cemetery with Andrew Nicewander officiating under the direction of the Brown-Dugger Funeral Home. Visitation hours will be held from 10:00 a.m. to 8:00 p.m., Thursday, September 14, 2017 at the Brown-Dugger Funeral Home. V. Jeanne Samuelson Nicewander was born April 28, 1925 in Perry, Oklahoma to John August and Marie Genevieve (Beardsley) Samuelson. She grew up in Perry, Oklahoma and graduated from the Perry High School. Jeanne was a bookkeeper for Commercial Lumber Company for many years. She was a member of the Tulsa Bridge Club, First United Methodist Church, and Sweet Adelines of Tulsa. She loved to play bridge, sing in the Aberdeen Choir, play cards, eating, piano, reading, extreme couponing, square dancing, bowling and animals. Survivors include two sons Donald Nicewander and wife Barbara of Bartlesville, Oklahoma, and John Nicewander and wife Anita of Lillian, Texas; one daughter Janel Ferguson and husband Garry of Tahlequah, Oklahoma; 10 grandchildren, 14 great grandchildren and two great great grandchildren. She was preceded in death by her parents John and Marie Samuelson, son Jim Nicewander, great grandsons James Beshear and Quinton Nicewander, brother James L. Samuelson, sisters Genevieve Carmichael and Maureen Peters.